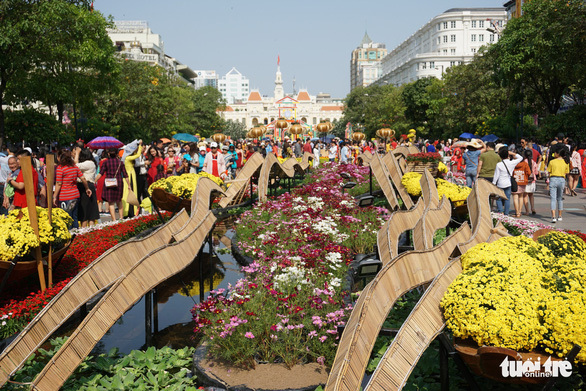 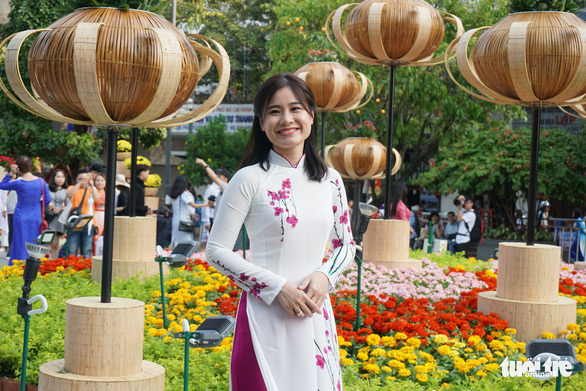 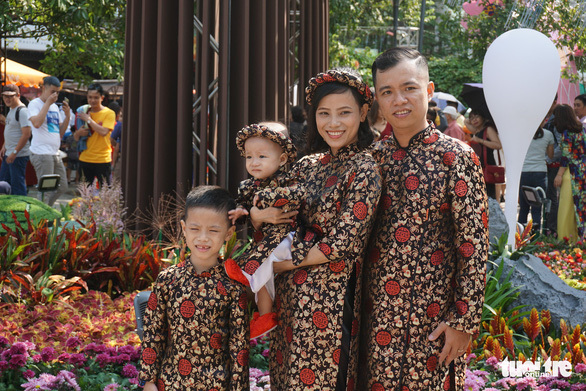 For most people in Ho Chi Minh City, the Nguyen Hue Flower Street is always a must-visit place during the Lunar New Year, where they can take a pleasant stroll in their best outfits and among families and friends, as well as reading and buying the most interesting books. 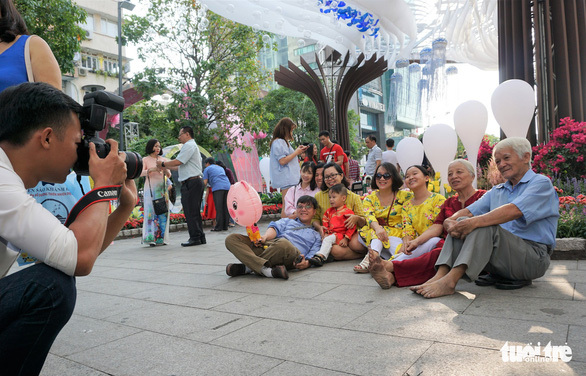 Although the flower street was officially opened on Saturday evening, many visitors decided to wait until Sunday morning to have a different view of the venue’s beautiful scenery. 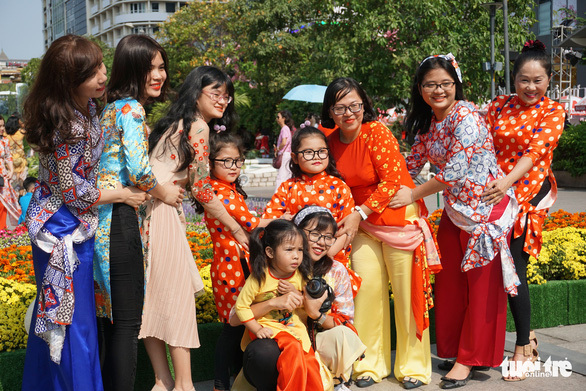 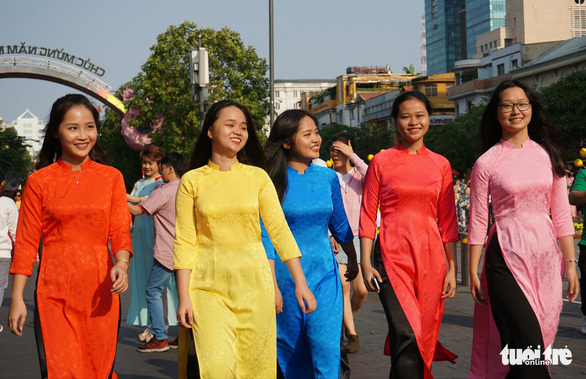 A lot of girls and women were dressed in their ao dai, Vietnam's traditional gown, to enjoy the moment with their loved ones and to take photos with the flowers and decorations.  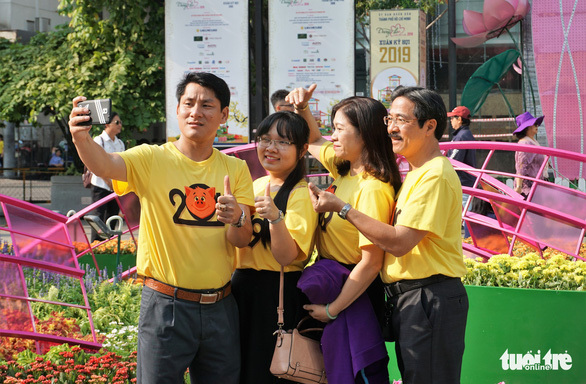 The venue also marks its 60th anniversary and the city’s 320th anniversary this year. 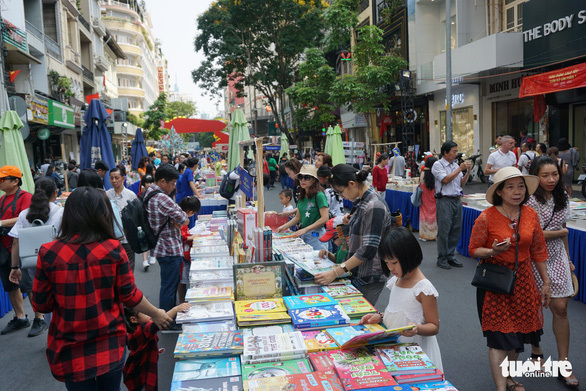 As a book street is also integrated with the flower street, visitors can spend extra time shopping for their favorite pieces of writing here. 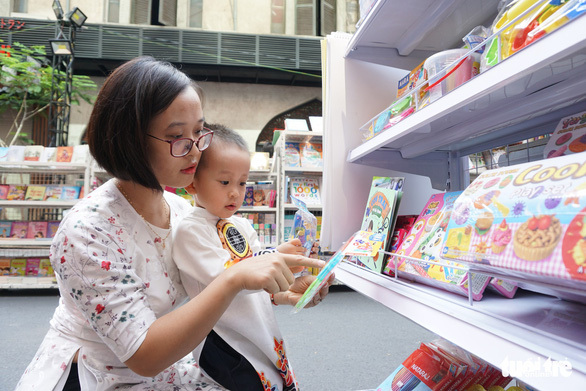 The books feature a variety of themes and topics and are suitable for readers of all ages. 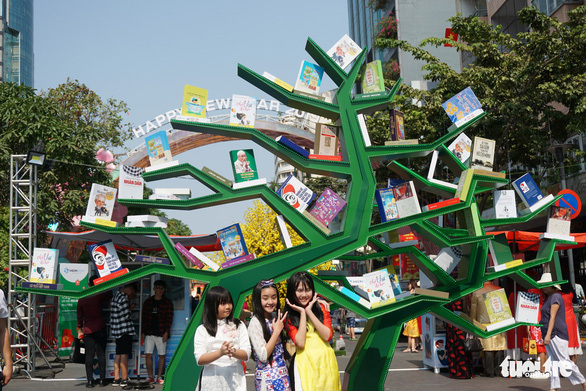 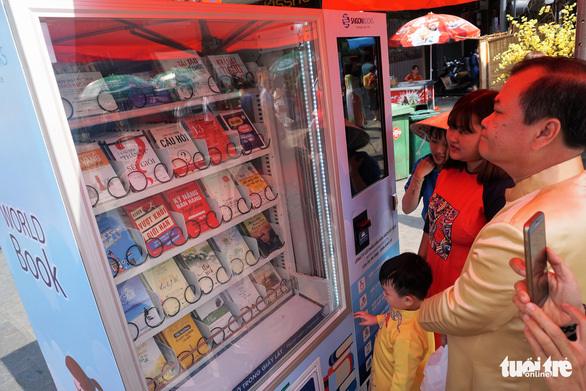 A book-vending machine was also added to the street, which received quite a lot of attention. 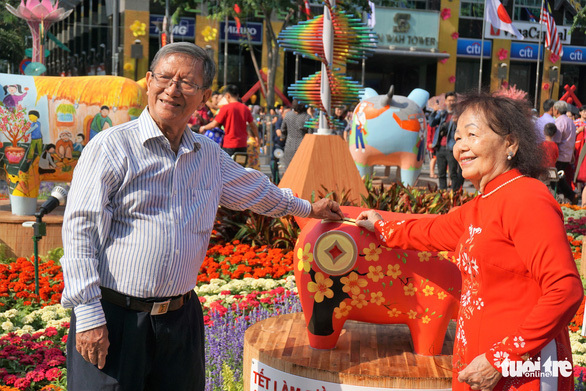 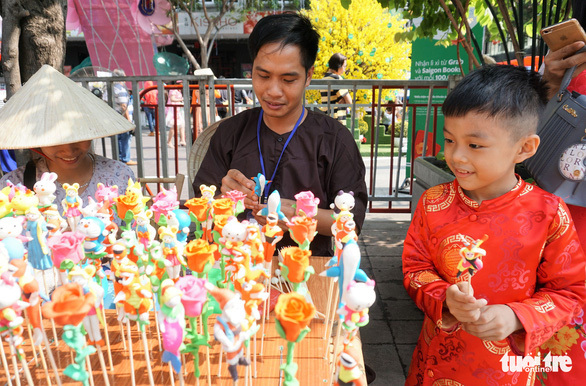 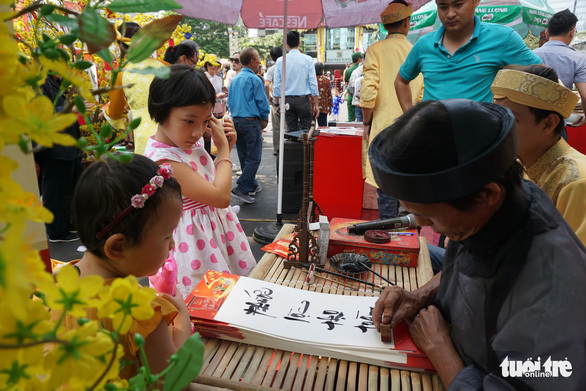 Both the Nguyen Hue Flower Street and book street will be open until the end of February 8, the fourth day of the Lunar New Year.